Unfortunately we have to announce, that Frank Brommer has left the band for personal reasons. Work, family and his cover band “Second Hand” currently do not allow other activities anymore for Crayon Phase. We want to say a big thank you to Frank for his involvement and wish him all the best for his musical future. In adddition to that we think we will musically sound a bit different for the future. Frank W. will replace Frank B. in the “keyboard department” (most of the album was written by Frank W., that’s one reason for his decision to focus more on keyboards again and less on vocals). Therefore the band is searching for a new singer. If you are interesting please feel free to contact us. Anyway, we don’t want to reveal more for now but for the next time there might even be some more improvements – let us surprise you. 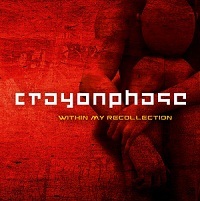 © 2019 CRAYON PHASE – The Official Website. All Rights Reserved.